Create Extraordinary Levels Of Success By Shifting The Two Core Aspects That Define You As A Human Being: Your Beliefs. And Your Habits. Their daily habits which create their success. We call these “Systems for Living”. Vishen explains the particular methodology of these calls in-depth in his international hit book, The Code of the Extraordinary Mind which went on to be the #1 book globally on Amazon five times in 2017 and get translated into 20+ languages. What makes this program unique is the access to talent that we have. 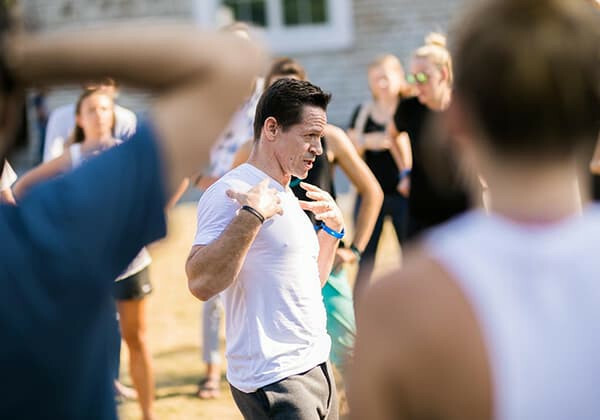 As one of the world’s leading transformational education companies, Mindvalley puts hundreds of people on stages globally, publishes many top courses on its apps, and brings top mind to train in schools, companies and universities. The best ideas and teachers across this wide network get filtered into this program. By zeroing in on each teachers core beliefs and their daily practices you get to zero in on applicable tools to adopt. This lets you collect success traits, and integrate them into your life with breathtaking ease. You learn practices and ideas that are not part of mainstream education. Vishen Lakhiani is the founder of Mindvalley and it’s 2 million strong student base, a former Computer Engineer and is noted for his talent to integrate information across the field of human transformation into unified models. His ideas are being used in schools in Finland, Silicon Valley companies, and now, global universities which are integrating these ideas as part of curriculums. His book, The Code of the Extraordinary Mind made the New York Times Business Best-Sellers List and hit the coveted #1 spot on Amazon five times in 2017. He is the creator of the Mindvalley Quest Learning platform which attains an unheard of 60% completion rate on courses in an industry where 8% is average. Vishen also founded A-Fest, the transformational festival described as the “TED meets Coachella” of the industry. And finally he founded Mindvalley University City Campus, a new form of college that attracts thousands of students who move to a new city for an entire month every year. 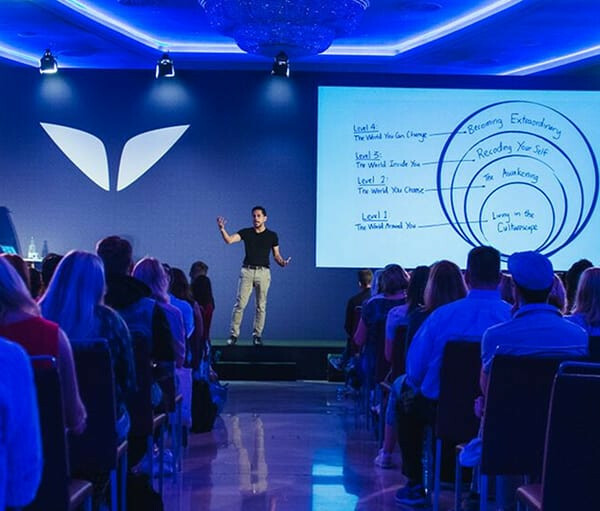 Vishen hosts each class on Mindvalley Mentoring and connects the dots between every teacher and every idea for you. Vishen has been featured on Impact Theory, London Real and even recently in Billboard Magazine, in a story of how famous R&B star Miguel uses Vishen’s meditation before taking the stage. Remember those famous Apple ads that say ‘Think Different’. It’s easier said than done. Our schooling systems teach us to think safe. To think ordinary. But human potential is so much wider. And the best way to learn is to learn from people who are truly thinking different AND have a conscious understanding of why and how. 10 years ago in 2008 I was struggling entrepreneur with a stagnant business. Worse, I was running out of cash and was on the verge of having to lay off my 18 person staff. It was in this desperate state that I received my first mentoring session. I tracked down business optimization experts and asked them to teach me how to run my business. I was an engineer you see – but had never taken a business class. In exchange I would help them with coding for their site (it was thus a ‘brain exchange’). Their mentoring helped. Within one year my business was thriving and had grown 800%. But why stop at just brain exchanges around business. Soon I expanded this to other fields. I would seek out incredible minds, let them join me on a Skype call and tap their brain to ask them the deepest questions that made them who they are. These conversations made me who I am. They shaped my life and they were more valuable to me than the hundreds of thousands of dollars I spent on my university education. Mindvalley Mentoring was born. (Initially called Consciousness Engineering’ after my methodology of learning). Very soon it grew to tens of thousands of subscribers. The early calls were just webcam calls on Skype – the intention was not to build a public learning program. But today they grew into high quality filmings done in locations around the world. Imagine sitting next to me while I get a world leader to unlock their minds. The quality of the newer filming beats our originals but we include the originals for you too as there is so much profound wisdom there. The official Mindvalley app lets you stream or download your trainings from your smartphone or tablet – and level up your life anywhere and anytime. It’s daily personal growth, made easy. 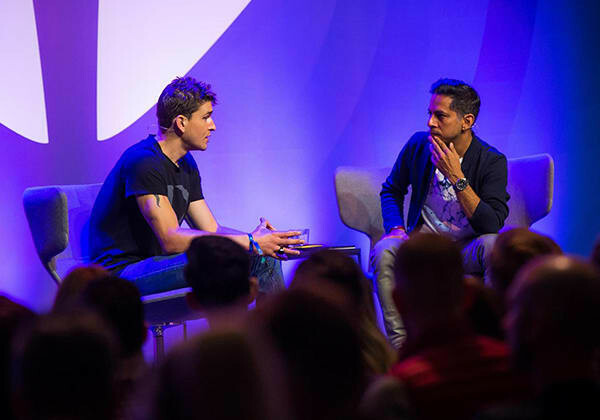 Watch exclusive, beautifully produced documentaries that explore today’s most important ideas, issues and emerging trends in the Mindvalley community – including the Emmy Award-nominated Live Your Quest. We absolutely love Consciousness Engineering for the diversity of thought leaders and ideas we are introduced to. Vishen’s style allows the viewer to connect with the interviewee on a personal and intimate level. The interview length is spot on, and the pace is focused. We use the content to continue to develop our personal and professional workflow. We incorporate ideas from the Consciousness Engineering interviews in our business everyday, and often suggest specific interviews to our clients, friends and family. Consciousness Engineering, it will blow your mind for sure. I love that everytime I watch a new video I experience a totally different and inspiring reality. It’s like starting a new adventure. I still have a lot to put in practice, but till now I experienced the benefits of meditation and the models and beliefs system proposed by Emily Fletcher. Also I adopted a lot of new beliefs from other videos. I can’t say that I have something material to show after watching the videos, but I feel changed, I look the life & universe with different eyes that make me see a lot of new things. 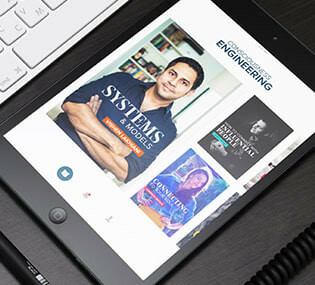 I am so happy that I joined the Consciousness Engineering Program with Vishen Lakhiani! One major reason this program is so impactful is because it provides the opportunity for the students to learn virtually from several people who share their experiences of how they were able to master the tenants of consciousness engineering and position themselves to live their lives on purpose! Three days in and I am loving it and sucking it up like a sponge. The Consciousness Engineering program has given me not only the insights but also the tools to apply to my own life. I have learned to heighten my intuition for personal life and work creating superior results. In addition, I have passed on the training to my clients and employees where, as a result, I have seen them grow. Their stories prove to me, all that have touched this training gives a clarity of purpose and direction and overall more joy in life. Consciousness Engineering was the perfect product for me. I constantly mirror top performers to bring out the best in myself. The concept of Systems and Models explained by Vishen allowed me to have a clear structure on seeing where I stand, and where I want to go. Shifts happen on every episode, throughout the whole program. My relationship with supervisors and boss is totally changed for the better. I have a new sense of purpose and people around me know it. It has not only helped me get more success financially, but in every area of my life. I highly recommend it to everyone. I’m happy to be a part of this Consciousness Engineering program and I see how it changed my life for better. I am very thankful and grateful! I’m excited how Vishen leads the sessions, explains everything so clear and entirely. It’s great! I also love examples and stories, good way of thinking, which make that mind shifts, not only techniques or practices. I’ve really been enjoying the Consciousness Engineering program and have been telling lots of people in my life all about it. I love that there is quality curated content readily available for me to listen to on a variety of subjects I’m interested in. I, like many, am busy and find it frustrating to have to sift through all of the content and resources out there. My old method was time consuming and often it was hard to find quality content. The Consciousness Engineering program does that all for me making it easy to learn, grow, and develop. I absolutely love the Consciousness Engineering and Vishen Lakhiani. I really like the way he conducts the interviews and then spots several times to make sure everyone is keeping up or on the same page. Of course, the experts are all amazing people with so much to teach and a passion for sharing their knowledge and experiences. I have made so many positive changes as a result of being a part of this program I could go on and on. My creative juices are flowing once again, I am drawing and painting, I am writing and my entrepreneurial spirit is on fire, as well. I am truly enjoying the Consciousness Engineering series of videos and interviews. I really enjoy Vishen as a teacher and appreciate his intros, summaries perspective and clarification on each topic. I also appreciate the transcript version as well so I can reference some of the books, and recommendations within the conversations at a later date. Mindvalley Mentoring subscription is an immersive online experience. The curriculum for each class includes a class preparation document, transcripts from the class, and assignments. The videos are viewable at any time, and they can be paused, fast-forwarded, and re-watched as many times as you’d like. Plus you can consume them not just on your computer, but your Android or Apple smartphone or tablet too. The Mindvalley App allows you to download the audios recording of the training so you can listen to them offline for our own convenience. Refunds are not available for this program. Nevertheless, you can cancel your subscription any time on the Billing section of your Mindvalley account. Note that unless you cancel the subscription before the 7-day trial ends, you will be automatically charged the annual subscription fee of $95.88 USD (+ VAT Tax for EU Countries). If you cancel after the annual payment – you’ll still keep your access to Mindvalley Mentoring for the remaining year but you’ll not be charged and lose the access during the next annual billing. In the end of your 7 day trial period you will be charged for the annual price – $95.88 USD (+ VAT Tax for EU Countries). If you wish to cancel your subscription within the 7 days trial period, you can simply do it in the Billing section of your Mindvalley account.